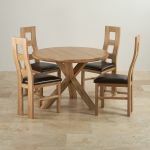 Make a bold statement with this solid oak round dining table accompanied by four brown leather and oak dining chairs. 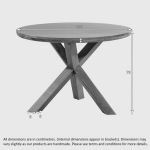 The classic yet contemporary round dining table is perfect for creating an elegant focal point in the kitchen or dining room. 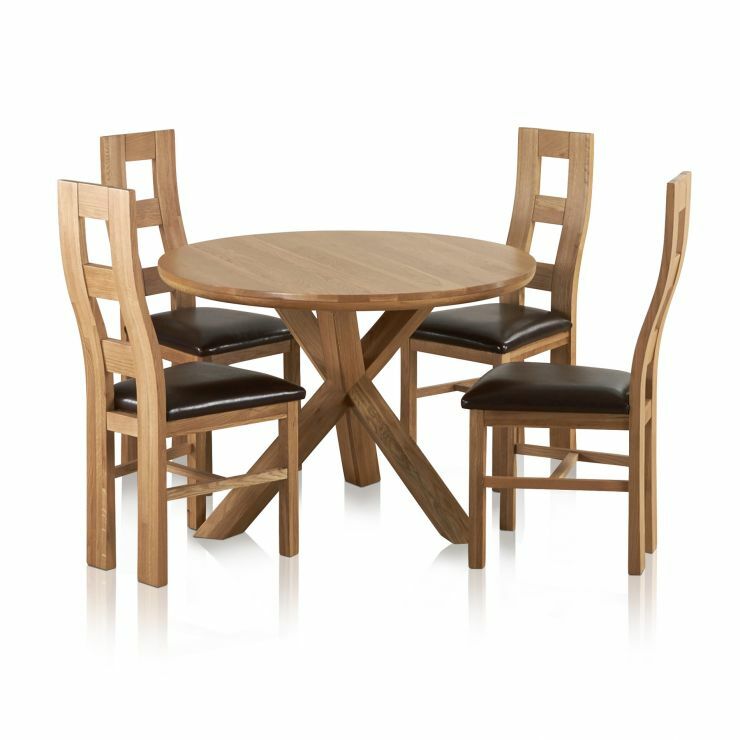 Made from only the finest cuts of premium solid oak it features an eye-catching crossed leg design with a spacious round top. 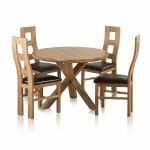 At Oak Furniture Land, we never skimp on materials and we never use chipboard or veneers in any of our products. 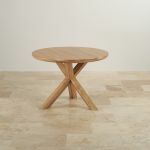 All oak timbers are carefully selected for their golden hues and superior grain patterns. 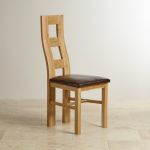 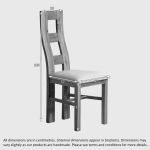 The four dining chairs accompanying the table feature an exclusive wave back design with padded real leather brown seats and braced solid oak legs.